Pa Buala Chaichit’s House (Auntie Buala Chaichit’s House) was built circa 1937 by Mr. Wang Chaichit, grandfather of Auntie Buala who was a builder and designer of the house. Later, he built a large 2-storey (rice storage) in 1939. Mr. Wang and Mrs. Pan Chaichit, father and son who were “Sla”, master local builders and craftsmen, began working on the house by collecting wood, which took several years. The construction was collaborated by neighbours and relatives. Mr. Wang had applied his knowledge in concrete techniques in the construction as seen in the concrete columns. He also produced roof tiles by himself, which later became his home factory products that generated satisfactory income to his family. The house has been inherited by Auntie Buala, the eldest daughter of Mr. Pan, son of Mr. Wang. 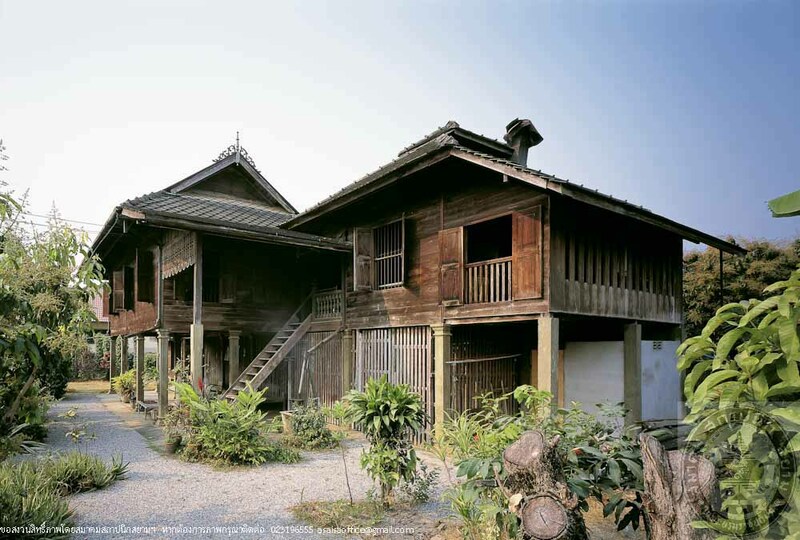 It is a large Tai Lue house of a well-to-do family of Yong town, entirely built of wood. The floor is raised to approximately 3 metres level, foundation and columns on ground floor are bare concrete. The house comprises main house with Manila roof (hipped roof with gables on both ridge ends), and a kitchen house with 2-tiered roofs for good ventilation, both buildings are roofed with homemade kite shaped concret roof tiles previously mentioned. 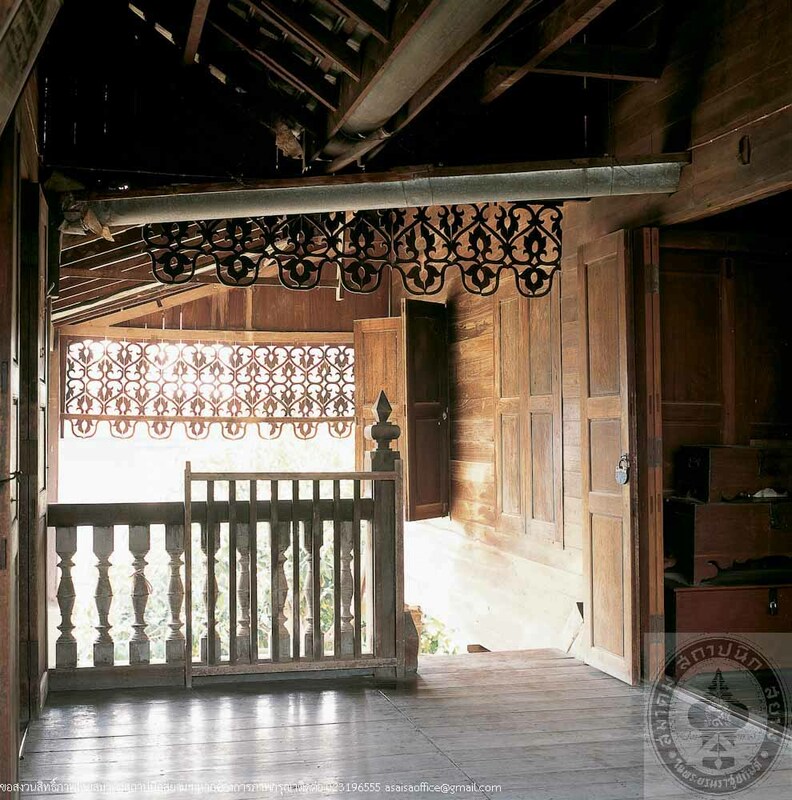 Structural elements of the house are strong timber; however, fine decorative elements are also presented i.e. 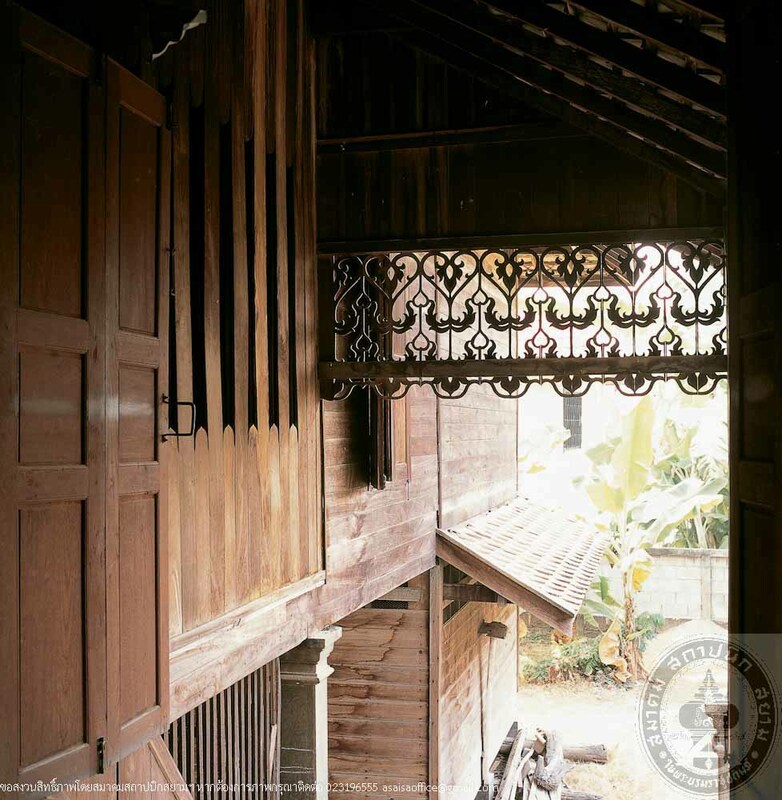 wood openwork decorating the gable tops and overdoor areas, sunshades and railings are also wood openwork, moreover, some of the walls are made as “Fa Lai” (sliding panel). Thus the house expresses stability, elegance, openness and comfort, which clearly reflect creativity and ingenuity of Sla Wang and Sla Pan (“sla” means master craftsman, builder). The large rice storage was built after the house and connected to the house by a deck. 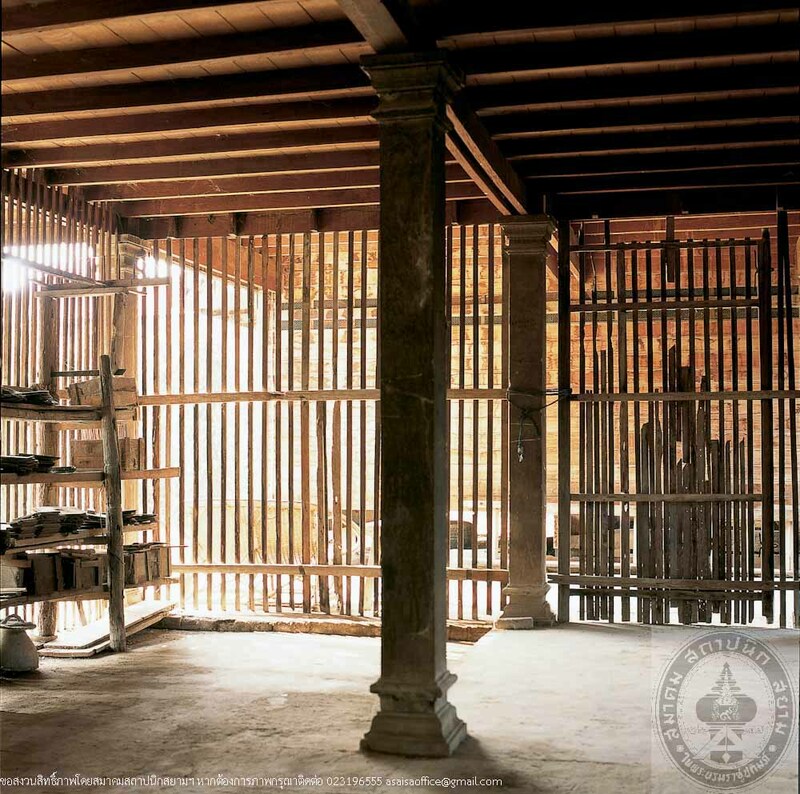 The underfloor area is used for keeping tools for tile making and other craftsmen tools. Apart from the architecture, all building equipments and tools are still in working condition i.e. lamps, switches, plugs, kitchen utensils, scale and crockery, thanks to the care of Auntie Buala. Some changes made to the house are i.e. using tap water instead of water from the well, moving the toilet from upper floor to ground floor, and building a new toilet on the deck adjacent to kitchen house.